First person shooters have become so ubiquitous, so close to the default game genre, that I have to fight off a weary sinking sensation whenever one crosses my path. Now and then they defy my torpid scepticism and turn out to be fun – Section 8: Prejudice and Battlefield 1943 spring to mind – but for the most part I’m sick of the damn things. As with so many genres, though, the hope for diversity and bold reinvention lies in the indie side of development. The early build of Shootmania Storm on PC has already begun injecting new life into the flaccid multiplayer FPS, and the Xbox 360’s Null Battles is joining that crusade. The closest real world experience I can think of to compare to playing Null Battles is something like leaping between giant magnetic Lego bricks in zero gravity. Each match takes place in a room full of large geometric shapes, usually randomly laid out (though this is customisable from the options menu – including the coveted treasure of a genuine level editor). 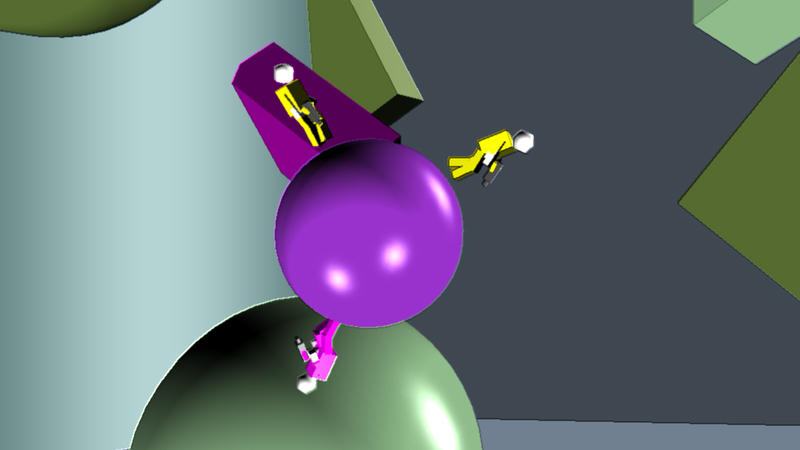 From your team’s base halfway up one wall, you leap out into the arena where you will automatically adhere to the surface of whichever platform you touch. 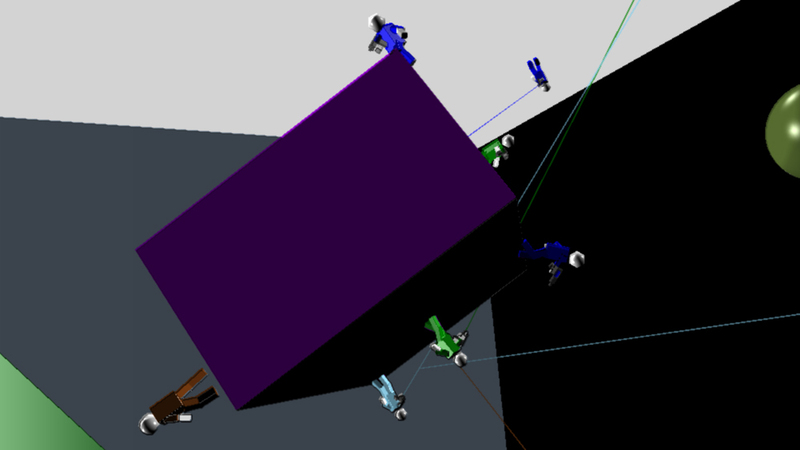 The platforms being 3D shapes, this often means suddenly finding yourself upside down or otherwise bizarrely orientated. It also means that as you spring from surface to surface in the chaos of combat, your perspective will flip and whirl in a way that makes it very difficult to aim reliably. Fortunately, this is where the fun comes from. 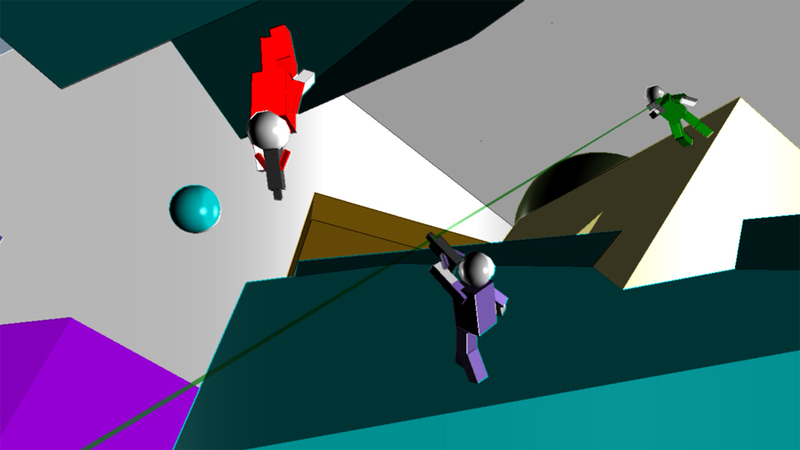 Null Battles feels a little like the adversarial FPS games of yesteryear, emphasising energetic lunging and spraying rather than hiding behind a wall and making precision headshots. 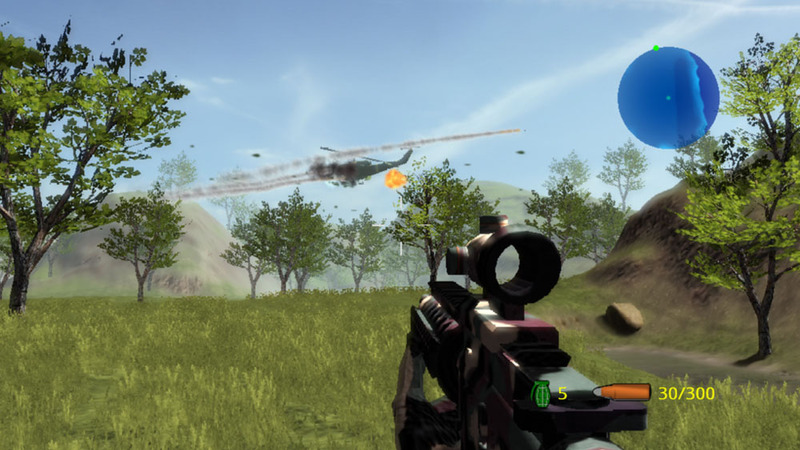 It also reminds me slightly of the aforementioned Shootmania Storm in that it simplifies weapon selection down to a minimum, and relies on the frenetic pace and unique twist to keep it engaging. You have two weapons: a laser-type gun for ranged combat (assigned to RT) and a standard short-range sidearm (assigned to LT) that acts more like a melee attack than the usual backup pistol. There is no ammunition but, as in Mass Effect, your ability to rain brightly coloured destruction upon your opponents is limited by the build-up of heat in your weapon. Continuous fire will cause the gun to overheat and leave you in the humiliatingly disastrous position of being completely defenceless for a few seconds. In a game this fast paced, having to spend vital seconds running around and whimpering like an alarmed hamster (or an unusually resolute sheep) can be fatal. How much you enjoy Null Battles will probably be determined by how much you demand precision performance. If you’re the sort of person who derives enjoyment from painstakingly training yourself to shoot microscopic dots in their microscopic heads after aiming for only a tenth of a second, then Null Battles might annoy you. That’s not to say there’s no place for skill here, but the randomly generated terrain layout and haphazard convulsion of gravitational direction lead to a more messy and manic play style. You can’t train yourself to make crack shots reliably because you can’t memorise the randomised maps, and when you move you can’t count on being the same way up half a second later. If, on the other hand, you appreciated the frantic, unfettered chaos of ‘90s deathmatching, or you just like the sound of it, Null Battles could give you much more than your 80 Microsoft points’ worth of fun. Unfortunately Null Battles bears a heavy burden. Like many multiplayer-focused indie games, particularly on the Xbox, it runs a constant risk of suffering from lack of community. There are options for both local and online play, with options for up to four teams for real carnage, but the only way you’ll play other human beings is if you arrange a session with friends. Fortunately the AI picks up the slack here. Much as in Take Arms, the AI participants are reasonably competent and don’t behave too conspicuously unlike real people. That’s even more the case here than in Take Arms, as the erratic nature of movement around the maps means that even human players don’t behave like real people. For some players, just the knowledge that there aren’t genuine gooey biological brains behind the figures they’re shooting in the face is enough to put them off. Weirdly, the same people will happily play Modern Warfare 3, which frequently also doesn’t involve much in the way of brain-driven opponents. 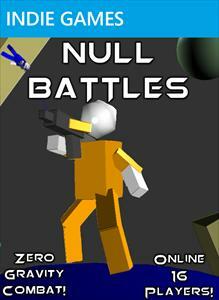 For those who have indie-playing friends or, like me, don’t mind playing against bots as long as they put up a fight, Null Battles is a perfectly sound purchase. It will never dislodge the big-name titles but it’s not intended to. As a 60p diversion with a novelty twist, it offers easily enough customisation options, headless chicken panic and disorientating chaos to justify a purchase. Will I be playing it a year from today? Perhaps not, but I am playing it now, and that’s enough. I shouldn’t have let KGB: Episode One get my hopes up. 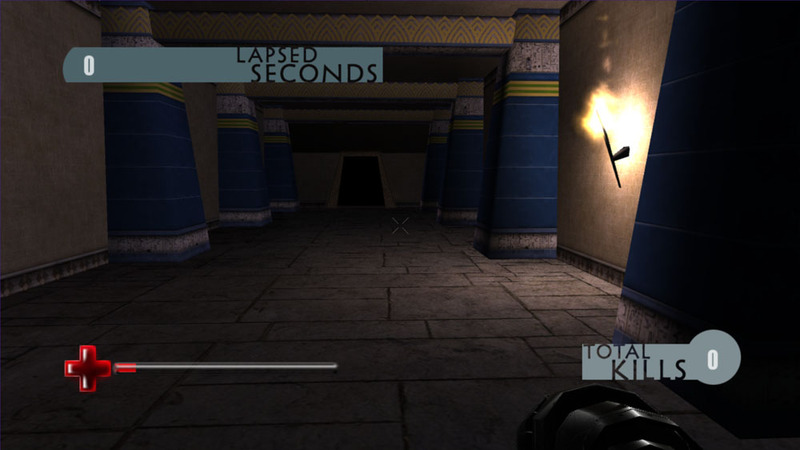 ‘If one indie developer can make a decent first person shooter, surely others can too’, I said to myself. I may be right, but Mummies vs Gunn.S is not the game I was looking for. This title has to be a typo. It has to be. Really the title should have tipped me off, but I was delighted to see some form of b-movie undead monster that isn’t a zombie that I hurried to overlook the ridiculous ‘Gunn.S’ travesty, and ill omen that is ‘vs’. Very few things, games or otherwise, that feature ‘vs’ in the title have much chance at quality. Still, remembering the generally enjoyable Plants vs Zombies (two bad news words in one title!) and Alien vs Predator (the games, not the tiresome films) I pressed on into the abyss. 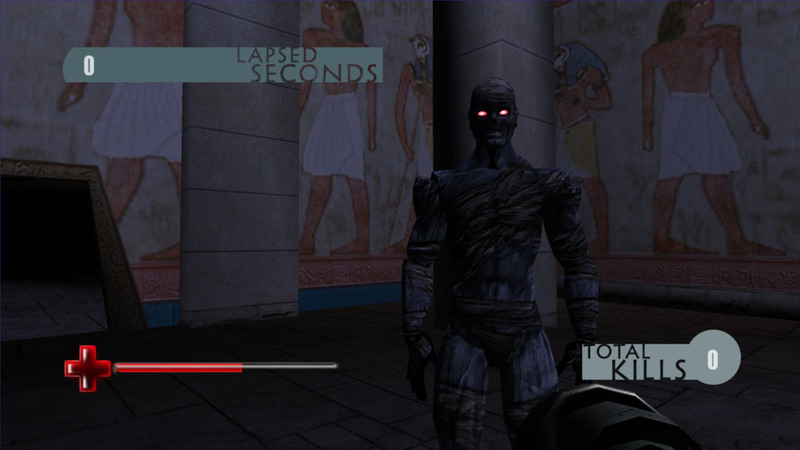 In fairness, Mummies vs Gunn.S isn’t the worst XBL indie FPS. That honour is reserved for another, yet to be reviewed simply because I so desperately don’t want to play it again. Mummies seems to be well-intentioned at least in the beginning, but it makes very little effort to do anything distinctive and it shows signs of very sloppy design that cost it a lot of ground against its competition. 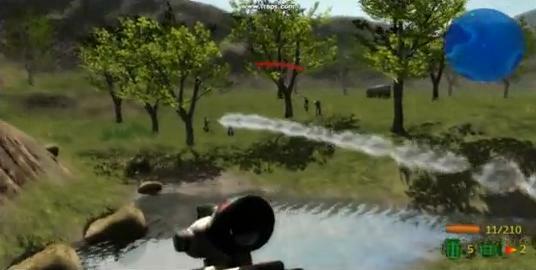 This is a first person wave/horde survival game, and there are a few of those on the indie marketplace. They are still vastly outnumbered by identical twin-stick shooters that seem to be the same game in different skins (possibly programmed by the same guy in different hats) and grotesque, cynical mockeries of games that eagerly pander to the social ineptitude and girl-phobia of their thirteen year old boy target audience (Don’t Be Nervous Talking to Girls? Ugh.) but the few first person shooters there are on here are mostly wave survival. The leader of this grubby pack is Nuclear Wasteland 2030, a competent (if solo only) Nazi Zombies-a-like from the developer of KGB. The point is, if you’re going to attempt an Xbox indie FPS, making it a wave survival game puts you straight into direct competition with several others, so you need to make sure you pull something special out of the hat to set yourself apart. 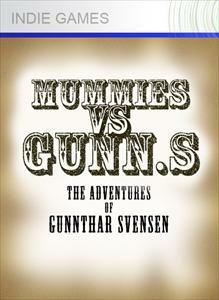 Unfortunately for Mummies vs Gunn.S, the thing it pulls out of its hat is a mouldy cheese sandwich stuck to a dead cat. If I walked into an ancient pyramid and saw floating visions proclaiming 'total kills' and 'lapsed seconds', I'd poo myself. Upon first playing MvG, I was pleased with the setting. It wasn’t particularly pretty, but I liked the gloominess of the mystery room, probably intended to be the inside of an ancient pyramid. A pleasant change. Within a couple of minutes, though, boredom had firmly taken hold. This gloomy pyramid interior is the only room in the game, at least for as long as I managed to force myself through it. You shoot mummies, more spawn, you shoot those too. Competent wave survival games add small features to keep things interesting – barricades, items, unlockable weapon depots. Just walking backwards around the room and shooting the zombies as they fall into line gets old very quickly. And yes, I said ‘zombies’. Title aside, there’s nothing to distinguish these ‘mummies’ from the lazily programmed zombies in various other sloppy FPSes. But after another couple of minutes, boredom wasn’t such a problem anymore. Instead, boredom became something MvG could only aspire to in its better moments. You see, this is where lazy predicability gives way to shoddy, thoughtless design. It’s evident very quickly that the mummies are insanely resilient. At first this is a boredom-enhancing chore, but it really becomes a gruelling grind as their numbers begin to stack up. I don’t think I’ve seen a zombie (or zombie-type enemy, insert theatrical sigh here) soak up this much damage in any other game. The poor weapons only add a sandpaper caress to this open wound, presenting us with an eye-catching performance in the form of incongruous red flashes. Oh, and a bomb. What a treat. Possibly the most grating design choice, though, is the way ammunition is handled. Firstly, it’s unlimited, revealing a willful refusal to grasp even the basics of providing tension in a survival game. Secondly, there’s no on-screen magazine indicator, which means you will always be oblivious to the imminent need to reload unless you count the shots (having first counted them already to determine the size of the mag). This just reeks of thoughtless design, implemented by someone who really doesn’t care about the game or how it plays. Mummies vs Gunn.S lacks the effort to even simply directly copy others in its field. It is too lazy to be lazy. It's a zombie. Don't pretend it isn't. One more niggle, though this one is more of a pet peeve and won’t annoy many people. Still, to me it’s an infuriating omission. There is no option to invert the y axis. Yes, I’m one of them. I know, you probably can’t grasp how I manage to play anything with inverted controls, but that’s beside the point. The way you feel about using inverted controls is the way I feel that way about using non-inverted controls. I’m sure you can imagine the layer of unpleasantness this smeared onto an already unsavoury experience. Long story short: Mummies vs Gunn.S is rubbish. First person wave survival games are not generally great when executed in indie form, lacking the variety of settings and other things that make their big budget counterparts more enjoyable, but MvG can’t even be bothered to try. I suggest you return the favour. Update 16/1/2012: this game has been lowered from 240 MSP to 80 MSP. It’s rare that an XBL indie title deviates from the dreary norm of shameless trash and apathetic twin-stick blast-a-thons.So when I play one that does dare to be a bit different, I want to give it credit for that, if nothing else. Fortunately, KGB: Episode One happens to also be quite good at what it does. KGB is a first-person shooter – a painfully over-represented genre in full retail games, but almost entirely absent from the indie side of things, at least on the Xbox marketplace. I know too little about Microsoft’s development kit and programming in general to comment on how challenging it is to develop an FPS on a budget of whatever change you have in your pocket, but judging by not only the dearth of these games but also the horrific quality of the few there are (which I will revist another time), it must be quite tricky. Mike, you're in an FPS. Your ride was never going to survive long. It’s only fair to give KGB credit for its ambition. It isn’t a nigh-unplayable, pale shadow of Wolfenstein 3D (I’ve played one of those), a sob-inducingly dire sci-fi wreck (played one of those too) or a horde-survival game (a few of those) – and that was the thing that really impressed me when I first dabbled in the trial version. KGB genuinely sets out to be a straight-faced, honest to goodness real first-person shooter. You can choose your loadout at the beginning of the game, which is pretty much a miracle. The scope of this choice is limited but perfectly valid, and leagues ahead of most of the competition. You carry one gun, and your choice of loadout determines which one you start with, from a choice of a scoped assault rifle, an unscoped version, a light machine gun, and an RPG launcher. Personally I favour the scoped AR, but if I change my mind later I can easily switch; in true modern FPS fashion, you can swap your weapon for any of the ones dropped by your enemies. Indeed, this is quite necessary at some points, as an RPG launcher is the only way to eliminate a mounted machine gun nest. More on that in a moment. It should be evident by now that KGB really makes an effort. This extends into the other areas of the game too. The visuals are among the best I’ve seen in an XBL indie title. It’s not going to floor anyone whose opinion of a game’s quality is determined solely by how shiny the visuals are, but it’s impressive stuff for a no-budget release that was probably created by one person in their bedroom. Although it lacks the detail, variation and general professional quality to fully support the comparison, I’m going to go ahead and say that the game that KGB‘s visuals remind me of most is Battlefield 1943. It has perfectly adequate grass and trees, and a more than servicable water effect in its occasional small pools. The enemies are limited to a range of maybe four character models, but that sets KGB way ahead of its rivals. More importantly, these enemies spot you from a decent (but not excessive) distance, shift between standing and crouching while engaged in combat, and lob the odd grenade. Hell, in true Call of Duty/Halo style, some of them chuck far more grenades than any fashion-conscious mercenary should really have room for in their sleek 21st century combat pantaloons. The rest of the presentation isn’t as impressive, but still well above average for the indie junk heap. The music is a tolerable lone-guitar chug while wandering around, then squeals and shifts up a gear with a suitable sense of urgency when an enemy spots you. The exploration music changes in some areas too; there’s a misty minefield region where the aforementioned chug is replaced by a far more accomplished atmospheric acoustic number that I could happily have listened to for the rest of the game. But this is all icing, of course. However nice the decoration, it’s the crumbly cake of the gameplay that matters. I’m happy to report that KGB evades the (sometimes seemingly inevitable) fate of being a dry, bitter, wasabi-and-walnut monstrosity, and instead reveals itself to be a pleasant Sunday afternoon Victoria sponge. Engagements with enemy forces are understandably less fluid than in full retail games, but perfectly adequate. You can aim down your sights – and when you do, the gun actually raises to your eye rather than just flicking to a scope view. Some full retail games from long-established development houses can’t manage that feat (Perfect Dark Zero, go and stand in the corner). The aim of the game is quite simple: you are Mike, and you’re dropped off in a troubled wilderness region to soften up the entrenched enemy forces before the main assault. This isn’t revealed through text, incidentally; the (admittedly basic) premise is imparted to you via voiceover during your helicopter drop-off. That’s one more area in which this game surprises by aiming squarely at the genre of ‘genuine modern military FPS’. Mike’s mission boils down to killing anyone he sees, searching camps (scattered little huts) and setting fire to certain locations (amusingly represented by patches of darker grass). Although this doesn’t give you a lot to go on with, it does the same job as the plot of almost any modern FPS: it justifies you running from place to place while shooting people. It’s not all gleeful thumbs up and high fives for KGB though. I’m going to disregard the unfair criticisms like ‘it’s not as pretty as Battlefield 3’ and ‘it doesn’t have proper loadouts’. It’s an indie game; there’s no point making straight comparisons to full retail games. It does, however, have its own problems that could have been avoided. Argh! Fire extinguishers, my only weakness! Firstly, sometimes enemies see and shoot you through solid rock. Not the edge of a boulder, either; bullets come flying straight through a great outcrop. It’s not a major problem and mostly doesn’t occur, but it is noticable. Secondly, machine gun nests are more awkward than they really need to be, in several ways. Even though you can see (and seemingly shoot) the soldier manning them, they can only be destroyed by hitting them with an RPG. The game does flash up a message informing you of this, but only after you’ve already had to deal with two of them. For my first couple of hours with the game, I just kept running past these nests because they seemed to be manned by oblivious immortals. Even once I guessed the solution, I thought I was wrong because it’s easy to miss while appearing to score a direct hit. This is solved by quickly strafing so you can see the arc of your rocket, but it’s still an inconvenience. The nests also aren’t animated at all; the soldiers manning them stand stock-still, and the only clue that you’re being shot at is the damage indicator, since the mounted guns produce neither bullets nor any sort of sound. Finally, and most irritatingly, there seem to be no checkpoints. The need to start over from scratch every time explains why I’ve played for maybe three hours total and not got all that far. Still, this is fine. Being an indie game it’s probably quite short, so playing from the beginning each time makes sense. My grievance isn’t with that; it’s with the no-checkpoint respawn system. Mike the unspecified agent has an unlimited supply of lives but each time he dies he has to walk all the way from the beginning of the game again. Enemies don’t reappear (mercifully) but it’s a hassle nonetheless. The only reason I can see to force this upon the player is to artificially lengthen the game, and it irks me. The play area is quite large and consists of a series of reasonably open spaces, so when you walk all that way only to accidentally step on a well-concealed land mine and have to do it all again, it does cause the teeth to gnash somewhat. All in all, though, KGB: Episode One comes highly recommended. It attempts something I’ve rarely seen in XBL indie games: it makes full use of whatever miniscule, one-man budget it has to get as close as it can to a full, up-to-date FPS experience. Between the exceptional visuals for an indie game, the largely competently executed gameplay, and the attempt to provide some form of cinematic scene-setting through voiceovers and a dramatic opening scene, KGB Episode One manages to excel and distinguish itself enough to shrug off most of its noticable niggles. The frustration of repeatedly re-treading the same ground does cost the game playability that it can’t afford to lose, but its overall quality sustains it and makes it recommendable for those curious about dabbling in an indie FPS, particularly at the next-to-nothing price of 80 MSP.